The Fidesz leader has positioned himself in the vanguard of a coalition of conservative and national populist parties hoping to tip the balance of power in the European Union away from the pro-open borders establishment of centrist-globalist parties in the upcoming European Parliament elections, and in favour of a rising pro-sovereignty, anti-mass migration faction. The flow of migrants into Europe via Turkey was stemmed — but not stopped — only as a result of the EU agreeing to a multi-billion euro deal with Ankara to control its borders, but the Near Asian country’s Islamist regime has repeatedly threatened to reopen the floodgates. “We are approaching the point at which the population of the countries of the Arab world will overtake that of the European Union – and in this I haven’t included sub-Saharan Africa, which is hardly able to provide for its populations,” Orbán explained, suggesting that much of this growing population could make for the generous welfare states of Europe. Defending his poster campaign against EU chief Jean-Claude Juncker, who the Hungarians believe to be enabling an increase in immigration, the Hungarian leader noted that the Luxembourger “commands hardly any respect” in Central Europe. “Jean-Claude Juncker is an amiable person – so amiable that one can forgive even his silliest and most idiotic gestures,” Orbán teased. “I am a street fighter, but there’s no personal animosity between Mr. Juncker and me. At the same time, I don’t like his views… His attempt to expel us from the European People’s Party was a personal act of disloyalty,” he added, in reference to calls for Fidesz to be kicked out of the “centre-right” grouping it sits with in the European Parliament, which includes many establishment parties — including Angela Merkel’s Christian Democratic Union (CDU). 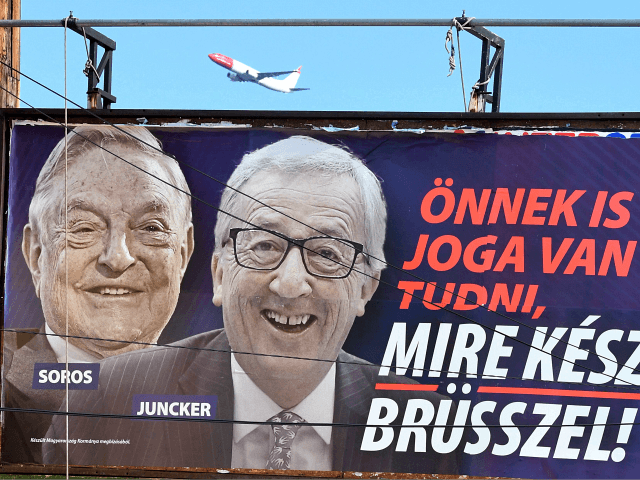 Orbán was characteristically robust when his German interviewer suggested that featuring Soros alongside Juncker in the poster carried “anti-Semitic undertones”, given the Hungary-born financier’s Jewish heritage. “You say that because you’re German,” he responsded blunty. “In Hungary no one looking at such a poster thinks of anti-Semitism. We regard Hungarians of Jewish origin as being first and foremost Hungarians rather than Jews,” he explained. “Campaigns focusing on individuals are not surprising either here or in the English-speaking world. 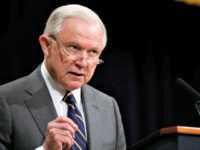 To me this seems to be a German problem… I can’t do anything about the fact that George Soros is a Hungarian of Jewish origin: that is solely a matter for the Good Lord,” he added. The European Parliament elections begin on May 23rd 2019.